With a new name and a new look, the 7DAYS EuroCup got the balls bouncing for the 2016-17 season with the annual draw on Thursday, which set up the road to glory that one of the 24 competing teams will take to become the 15th EuroCup champion. 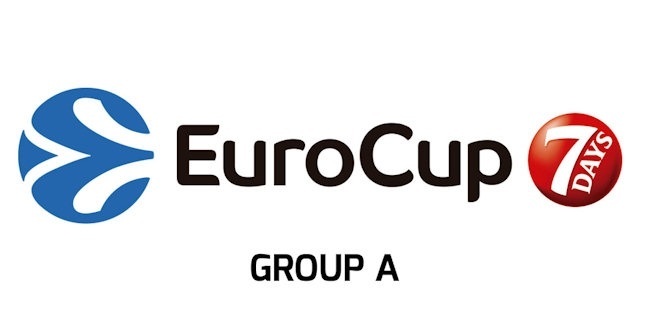 The 2016-17 7DAYS EuroCup Draw took place in Barcelona, where the clubs were divided into four groups of six teams each. The 24 clubs, which hail from 12 different countries and feature five former champs plus two past Euroleague winners, start with a 10-game, round-robin regular season, from which the best four in each group will advance to the Top 16. That stage will be comprised of four groups of four teams; after a six-game round-robin schedule, the best two in each group move on to the quarterfinals. The quarterfinals, like the semifinals and finals after it, will be played in a best-of-three series format with a new champion expected to be crowned in early April after playing a maximum of 25 games, which would be the most ever played by a single team in a EuroCup season.